If you wanted to get into LEGENDS OF WINDEMERE, but feel like it’ll be pricey to catch up then grab this 3-in-1 bundle. Start off with Luke Callindor in Hamilton Military Academy and face the Hellfire Elf. Meet Nyx and travel down the L’dandrin River where many dangers await. Then finish off with a visit to Luke’s hometown where an orphaned gypsy and zombie army are waiting to greet him. All of this for less than $5. So escape reality for a while and catch this fun series from the very first swing of Luke’s sabers. This entry was posted in Legends of Windemere and tagged action, adventure, amazon, Amazon Kindle, author, box set, casters, coming of age, dragons, drites, dwarves, elves, epic fantasy, fantasy, fantasy adventure, fantasy series, Fizzle, gnomes, gypsies, halflings, high fantasy, humor, kindle, Legends of Windemere, Luke Callindor, magic, necrocasters, Nyx, orcs, Sari, series bundle, sorcerers, spellcasters, sword & sorcery, trolls, undead, warriors, Windemere, wizards, writing, zombies. Bookmark the permalink. Thanks for the reblog. Really hoping this bundle does well and gives a little oomph for the upcoming release. Very cool idea. You have enough out there to make this work. Finally found a place to make cover art for it too. I’ll probably do the next bundle before the end of the year since I have enough for 2. I think I would assess how this one works first. It’s a decent plan though. I wouldn’t be surprised if the bundles do better when I have the whole series out and bundled in 3’s. Not really sure how this goes for a lengthy series. I’m interested in how it works out, even if you want to share privately. So far, I’ve only seen movement in the KU/Pay-By-Page section. This may be a hard sell, but I’ll be having some promos appearing over the next month or two. I have to save most of my big guns for Nevra Coil. Charles has bundled together the first three volumes of his wonderful Windemere series. This is a great way for you fantasy fanatics to jump aboard. I’ve taken the plunge I’ve brought them from the UK site, not sure when I will be able to read them I have a lot of unread books atm. The reading list never shrinks. Thanks for getting them and this also lets me know that the UK site is up. Hope you enjoy the books when you can. Thanks. Fingers are kind of crossed. At least until I have to dive back into the new project. A good time to grab a deal. I’ve read all three and they are terrific. Eh, I tend to forget about that myself. Another day or two before I see if I can pull that off again. Got the title-less cover art. My friend Charles Yallowitz shared the news about “To Survive the Maelstrom” and “A Dark and Stormy Night” earlier this summer…now it’s time to return the favor. Thanks for helping. Really appreciate it. Reblogged at Elfyverse, Charles — and glad to help. Best of luck with this! Thanks for the reblog. Good luck with your books too. Thanks for the sharing. Now if only I could sell a copy. Seems to have caused Books 2 & 3 to get a few sales. Though everything else seems to be dead. It looks like I’ll be putting out the new book in a day or two. Fingers crossed. An exciting new release by our favorite fantasy author, Charles E. Yallowitz! 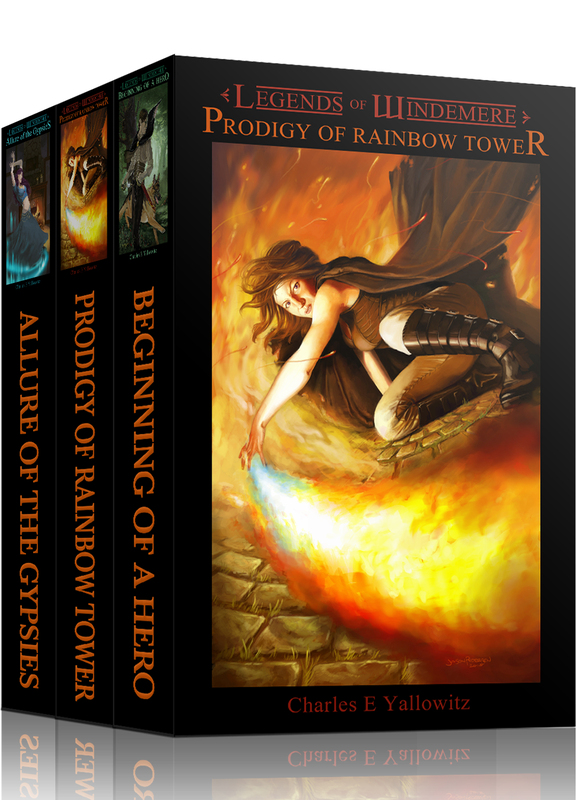 This is an awesome fantasy bunch to get for this price – grab it!